I had this great idea a few weeks ago to come up with some sort of preview or hype video for the Ohio State game. What you see here is not really either of those. This started out as one thing and turned into something completely different, so I'm not exactly sure what it is. I've used pictures and videos from well known movies in the past to help preview an upcoming game, so this sort of follows along with that idea. What's that up with that music, you ask? 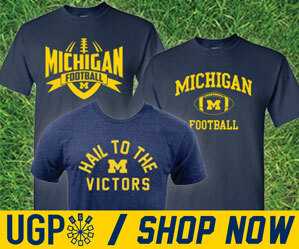 Here's the story via mgoblog.